When I started work on my book, Do a Day, I had a vision of being on stage doing a TED talk. on March 6th, that vision became a reality. Well, mostly. 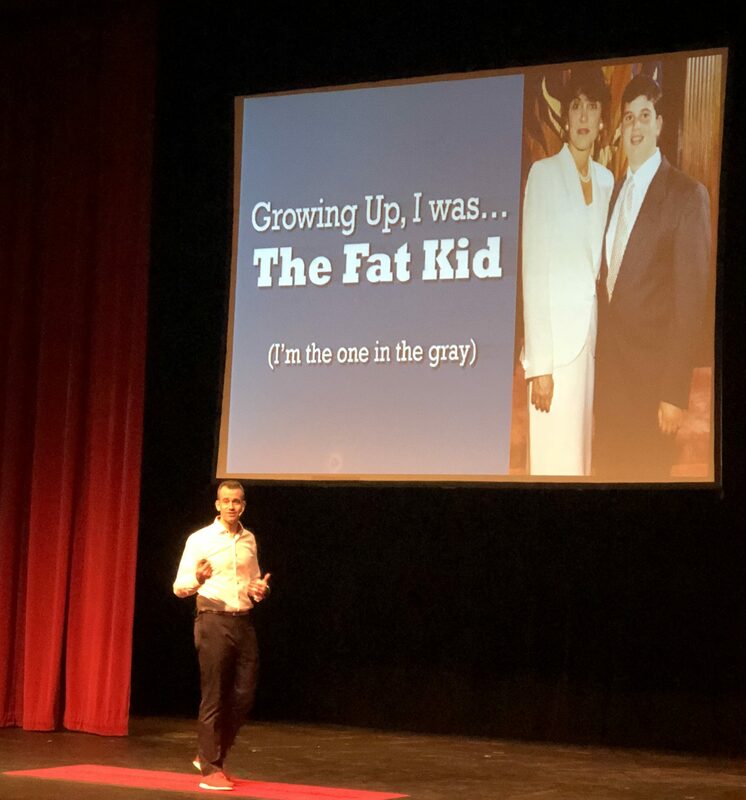 My vision was to be on the big TED stage, and I did a TEDx event, but it’s close enough and I’m very happy to have achieved this milestone in my work to help and inspire people. In talking to someone about the event, they asked how nervous I was and how much time I spent memorizing my talk. Both things struck me as very foreign to me. On the nervousness, I know a lot of people are uncomfortable with public speaking. That’s not something I’ve ever really dealt with, and I have had lots of experience being on stage from early childhood in school plays, to my first job where I was presenting to a C-level executive at a Fortune 500 company two months into the job, to my world today where I’m on some public stage speaking to small and large groups pretty much every month. Public speaking is something that just feels natural to me, so I didn’t have to contend with nerves. Huh? What does The Best Rapper Alive (or one of them, depending who you ask) have to do with public speaking like doing a TED Talk? Simple. Jay-Z famously does not write lyrics. His reason is pretty brilliant. He raps about what he knows, so he doesn’t need to write it down to remember it. He argues that if you don’t know what you’re talking about, you shouldn’t be talking. And if you know what you’re talking about, you don’t need to memorize what you’re saying. I have seen plenty of speakers write scripts, and tirelessly memorizing them. They also tend to get stuck in rehearsals when they forget their lines as they depend on the script to know what to say when, and deviating from the script ends up breaking them. I know my message, and generally what I want to say in respect of that message. I definitely practice a lot, and make sure I can tell my story within the amount of time I’m going to have on stage, but I never memorize, and I never give the exact same talk word for word twice. I hear that. I definitely hear that. And I’ve coached numerous people with serious stage fright to be able to present successfully by releasing their dependence on the script. Writing a script takes time. Memorizing a script takes far more time. Practicing delivering from a script in a way that feels natural takes even more time, and is very tough for most people (especially those who are nervous). Instead of spending so much time and energy on the script, put the time into your message, identifying with it, and being able to speak to it openly, casually, on demand. Talk to others about it. Repeatedly. 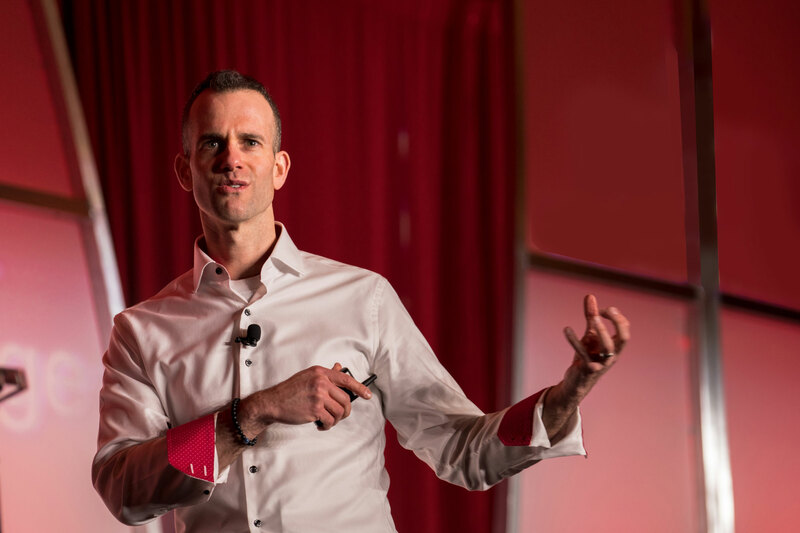 Becoming so comfortable and in touch with the “so what” of your message allows you to tap into your expertise and comfort in the uncomfortable setting of public speaking in a way that actually helps to disarm your nerves. And when it came to giving my first TEDx Talk, I did exactly that. This was the first time I would be speaking so publicly (the event I did gets 8 million views of their event videos!) that could potentially make or break my speaking career, so the stakes were high, as was the pressure. I went back to my core message, and talked about it over and over. And then I practiced talking about it a few times without a timer, just to feel the flow out in the open. Next, I added my slides to the mix, thinking less about what is on them (they’re sparse and just meant as markers to back up the story), and more about when to change slides to help drive the power of the message. Lastly, I added in the timer to be sure I came in at least a minute shorter than the time I was given because you often go longer live than when rehearsing, so I knew I wanted to have a buffer. What I never did was worry about what to say. If I stumbled, I just recovered and kept going. If I ran over on time, I thought about what paths I went down that weren’t totally true to my message, and jumped right into another practice without saying those things to see if it helped (and to reinforce talking about my message without that content in it). And then the day came, and I went out on stage with no concern. I knew what I wanted to say. I had said it many times over and in many different ways. I never got so stuck that I couldn’t recover or keep going, and I had a good natural buffer of time. Could it have gone differently? Sure. Could it have gone better? I don’t think it needed to. I said everything I wanted to say, didn’t say anything I didn’t want to say, and didn’t get stuck on my message anywhere. I don’t think you can ask for more than that. I felt like Jay-Z. Well, except for the part where you make $100 million for being on stage. But, otherwise, totally Jay-Z.